Since ancient seafarers first heard the strange calls of whales, humans have been fascinated by their meaning – from Flipper’s clicks and trills to the long serenades of Humpbacks. Inhabiting the dark ocean depths, whales use sound in many different ways – from feeding to navigating to finding friends and family. 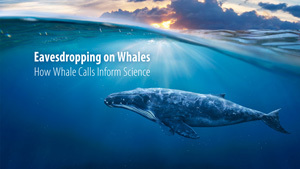 Join postdoctoral scholar Goldie Phillips for a captivating look into how scientists use whale calls to study whale populations. If rocks could talk – what could they tell us about the earth, history and maybe ourselves? 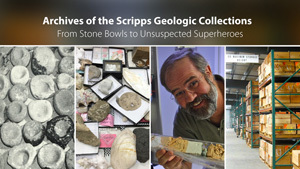 Find out as collections manager Alex Hangsterfer and curator Richard Norris reveal the treasure trove of samples housed at Scripps. Hear some of the fascinating stories behind how these samples were collected and learn about the incredible variety of investigations that they enable – from plate tectonics to earthquakes to archaeology. The effects of climate change on fauna and flora across the globe are more and more evident – the Pika has changed its range, and may disappear, sea stars have been visited by a withering collapse in population, insects from bark beetles to mosquitoes are inhabiting new territories bringing disease to humans and destruction to forests. And close to home, the ocean temperature recently hit the highest temperature ever recorded. 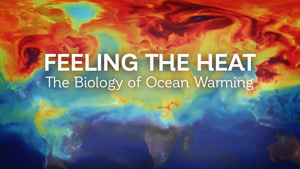 As our changing climate provides a natural laboratory for examining how organisms evolve adaptations to environmental extremes, Scripps’ Oceanography’s Ron Burton asks: can evolution keep up with rapid climate change or are most species likely to go extinct as temperatures rise? Ron shares about the cutting-edge genetic tools he uses to understand how populations of tidepool animals cope with rapid temperature changes and how evolution has shaped those responses across the geographic range of each species. Bone-eaters, Green Bombers, Ruby Seadragons and More! The oceans are very big, very deep and their exploration continues to reveal strange new animals. 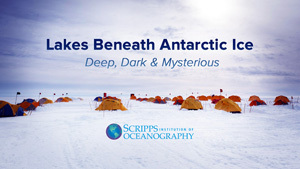 Come along as Scripps Oceanography’s Greg Rouse reviews some of the more famous discoveries from the last century, and shares some recent amazing discoveries particularly focusing on California and the eastern Pacific Ocean. Find out about the bizarre bone-eating worms known as Osedax, the green bomber worm Swima, the enigmatic Xenoturbella, and recent work on the extraordinary Ruby Seadragon. 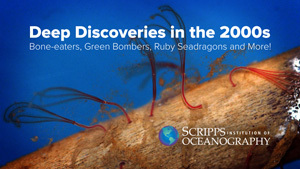 Watch Deep Discoveries in the 2000s: Bone-eaters, Green Bombers, Ruby Seadragons and More!